Rajinikanth can delete the Recycling Bin. Ghosts are actually caused by Rajinikanth killing people faster than Death can process them. Rajinikanth can strangle you with a cordless phone. Rajinikanth can play the violin.....with a piano. When Rajinikanth enters a room, he doesn't turn the lights on,.... he turns the dark off. When Rajinikanth looks in a mirror the mirror shatters, because not even glass is stupid enough to get in between Rajinikanth and Rajinikanth. Brett Favre can throw a football over 50 yards. Rajinikanth can throw Brett Favre even further. Rajinikanth does not know where you live, but he knows where you will die. A Handicap parking sign does not signify that this spot is for handicapped people. It is actually in fact a warning, that the spot belongs to Rajinikanth and that you will be handicapped if you park there. Rajinikanth' calendar goes straight from March 31st to April 2nd, no one fools Rajinikanth. Once a cobra bit Rajinikanth' leg. After five days of excruciating pain, the cobra died. 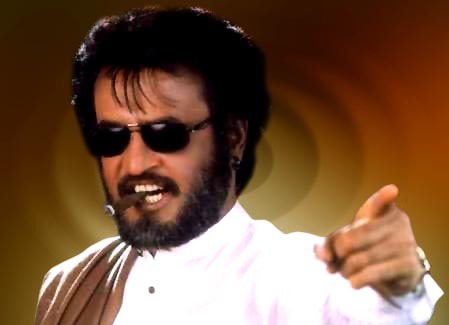 Rajinikanth was once on Celebrity Wheel of Fortune and was the first to spin. The next 29 minutes of the show consisted of everyone standing around awkwardly, waiting for the wheel to stop. There is no such thing as global warming. Rajinikanth was cold, so he turned the sun up. Rajinikanth can set ants on fire with a magnifying glass. At night. Rajinikanth got his drivers license at the age of 16 Seconds. With the rising cost of gasoline, Rajinikanth is beginning to worry about his drinking habit. When you say "no one's perfect", Rajinikanth takes this as a personal insult. There is nothing like recession, its just rajnikanth started to save money.